Here's a customer car from the West coast, San Fran to be exact. 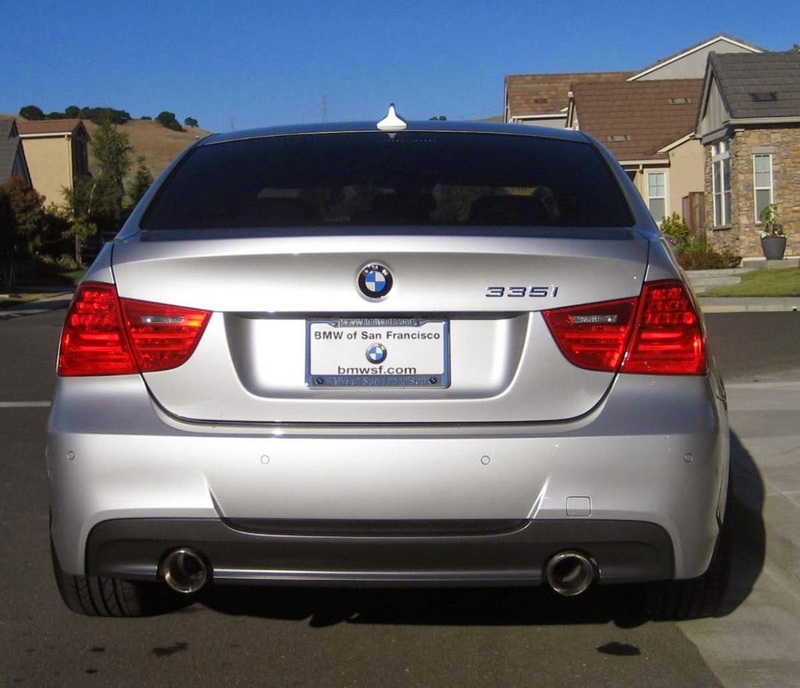 An amazingly clean, yet sporty appearance to this BMW 335i sedan. We are proud to work with the BMW community and have been doing so for over 5 years! Visit our site at www.dimisatips.com to order your set today. Great prices for forum members too!